As most of you know I have a great love and devotion to my blanket “Woobie.” It has given me comfort through some of the worst times in my life. Over two years ago I had the pleasure and opportunity to meet Jessica Hollins, founder and CEO of My Very Own Blanket, a non-profit organization dedicated to helping children in foster care feel valued and comforted. Being very familiar with the feelings of love and comfort a special blanket can offer I knew immediately that I need to get some materials together for this organization. 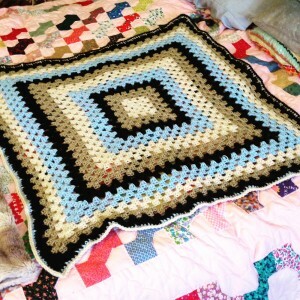 But life happened as it often does and I did not get to the actual blanket making until recently. 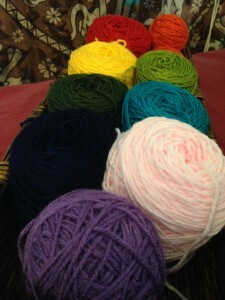 It was really a team effort as my friend and neighbor Heather was “de-stashing” some of her yarn collection. I took advantage of the free supplies and put my designer hat on. 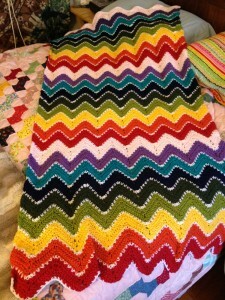 I was able to pull together 2 different color palates to turn into afghans. projects quickly by working on them steadily for a bit each day. After several weeks of sitting on my shelf in ziplock back so not to get cat hair on them, I was finally able to make the journey to Westerville and the headquarters of My Very Own Blanket today. It was slightly rainy and gloomy, but I felt fortunate to have the time to do this as I had been wanting to for awhile. 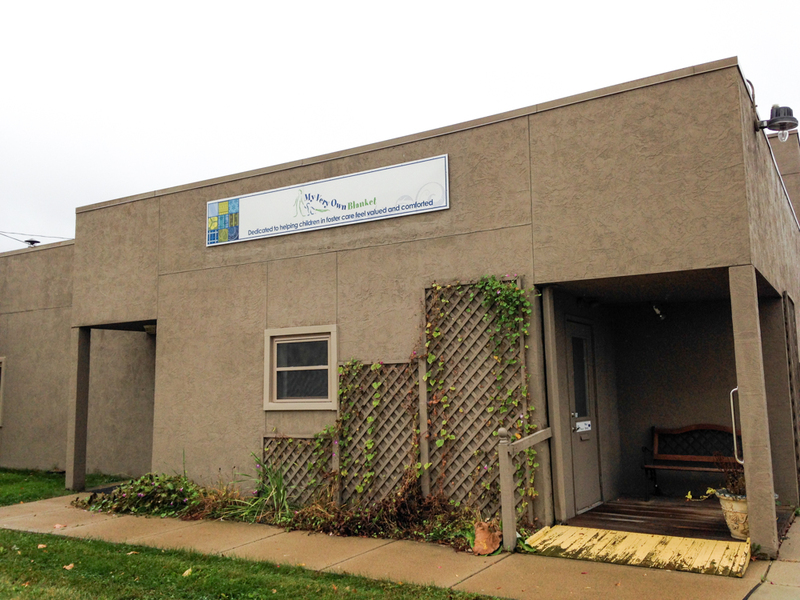 When visiting non-profit organizations you are never sure what you are going to find. Jessica started her organization out of her house, and I did not know if it was still being run from a small cramped space or what upgrades have been made. I was also not familiar with Westerville, so as I drove slowly down the street in the rain, GPS giving me my directions I came upon a beautifully situated building with a a parking lot. Any task that doesn’t involve street parking is always a plus . As I walked up to the door to the well signed main office the door opened and a smiling teenage boy walked out. The office was warm and inviting with plenty of people around to greet me. I showed them the blankets I had brought and was given a tour of the facility, logging both my donation as well as the volunteer hours I had spent on my first two (of hopefully many more) afghans. Volunteers range in age from young school children, teenagers, to older folks who can spend their time in the lovely workshop. 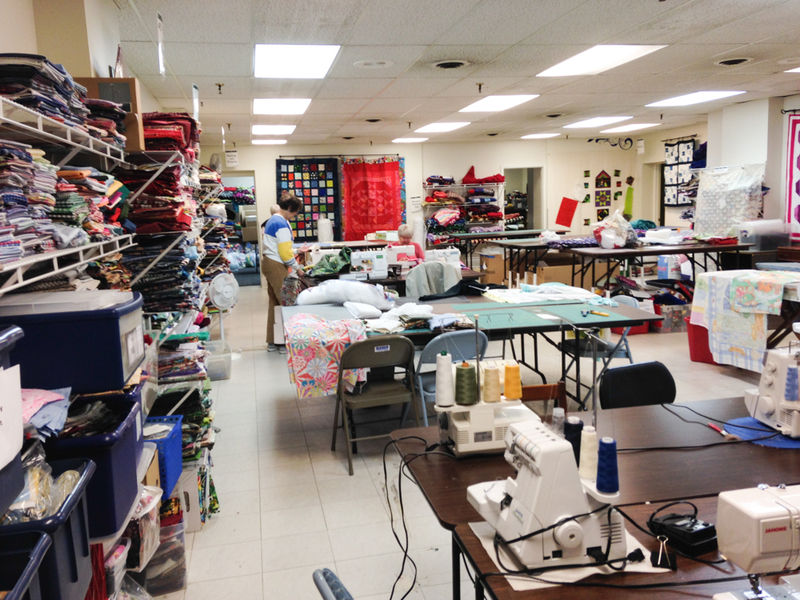 Besides the workshop full of fabric and sewing machines, there is a small area full of donated yarn for makers to take home and turn in to beautiful blankets and a community room with comfy chairs for groups or individual to sit while creating their projects. My visit happened to coincide with Betty’s, a long time volunteer crocheter. It was great to take a look at her projects and explain my process also. We posed for a picture, but I look doofy in it, so I’m not posting it here. I did share it with my Instagram followers if you would like to follow me there. I was given the opportunity to sign some yarn out to start a new afghan today, but have deferred this task until after the Christmas season. 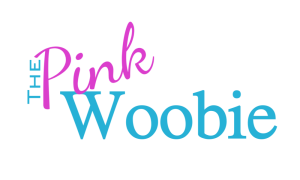 From now until about the week before Christmas I will be devoting my making time to The Pink Woobie sales and inventory. But I have big plans for afghan making in January and February. If you’d like to join me and live in the Central Ohio area (or even if you don’t) check out the My Very Own Blanket website, or comment below so we can make plans to create for this amazing organization together.